Mr. Stephenson has spent over three decades teaching and guiding teens and young adults to academic and professional success. Mr. Stephenson earned his Bachelor of Arts in Political Science and History from the University of California, Berkeley where he thrived in his undergraduate education. Having a passion for learning and realizing the power of having access to higher education, he continued his academic pursuits at Boston College, earning his MBA in International Business. After successful careers as a naval intelligence officer and software entrepreneur, Mr. Stephenson joined the faculty of Washington High School in 2004. A very experienced AP United States History teacher, Mr. Stephenson has been helping students prepare to successfully pass the College Board APUSH exam for the past twelve years. 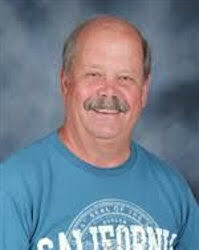 In addition, he has also taught California History, AP European History, United States Government, and Economics. His forte is teaching his students to analyze, write, and think like historians. During the summers, Mr. Stephenson continues to broaden his depth of historical knowledge by studying at the University level. He has been awarded National Endowment Fellowships at Oxford University, Nottingham University, the University of Virginia, and the University of Wisconsin. When he is not teaching, he can be found spending quality time with his wife of more than 30 years. Mr. Stephenson looks forward to bringing his passion for History to the students at the Academy.